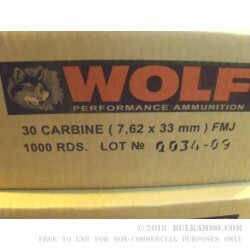 An astounding deal on a proven 30 carbine ammunition that is fun and has a legitimate use case for everything from target shooting to big game hunting. While the cases aren’t reloadable this may actually add to the value of this already low priced round. Most of the time, reloaders for the .30 carbine are trying to save a bit of money, rather than create some ultra-hot load for hunting or match use. 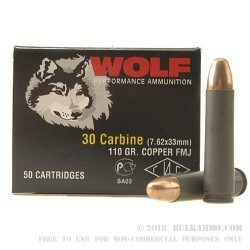 Having such a low price on this round, it compels the shooter to not have to worry about the saving of brass or the component purchase (which in this case could be close to the original cost of this round); and instead to just have fun shooting. 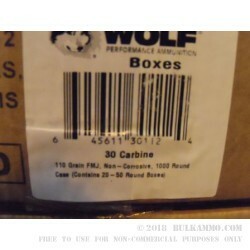 A substantial muzzle velocity of 3240 feet per second and a hard hitting 1280 ft. lbs. of energy delivery from the muzzle offers a good amount of power on target for those needing the hunting benefits of the round. 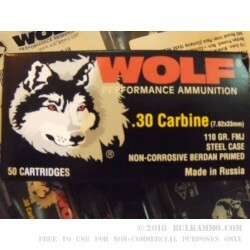 Note: this is a steel cased Berdan primed cartridge, so it is essentially non-reloadable. The lead core projectile is usable for hunting in most jurisdictions (check to see if yours is one of those where the round is usable for big game).